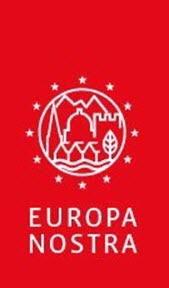 Europa Nostra’s Industrial and Engineering Heritage Committee (IEHC) was founded on the initiative of individual EN members and got really momentum after EN’s Annual Congress in 2008 in Newcastle where “Securing the future of Europe’s Engineering Heritage” was a central theme. The IEHC seeks to promote – on behalf of Europa Nostra – the values of Europe’s shared industrial and technical heritage and to encourage projects seeking to safeguard, restore and interpret this heritage, in all its aspects. These goals are enshrined in the committee’s Mission Statement, the “Greenwich Declaration” adopted in London in October 2011. When relevant and beneficial for all parties concerned, the IEHC is cooperating with like-minded international organisations like the International Committee for the Conservation of the Industrial Heritage TICCIH and the International Council on Monuments and Sites ICOMOS. Europa Nostra’s Industrial and Engineering Heritage Committee (IEHC) held its 21st meeting in Gdansk [PL] on 14-16 March 2019, chaired by Pierre LACONTE. The working visits focused on the UNESCO World Heritage Nomination of the Gdansk Shipyards, on invitation by the Ministry of Culture. Discussion with former state president Lech Walesa, included the contrast of SOLIDARNOSC historic international achievement and the present day trend towards national entrenchement. Caption of photo: Lech WALESA, Pierre LACONTE and the participants.